Michael was just 20 years old working for the NYPD when his life changed forever—and he wasn’t alone. On September 11th, 2001, a seemingly normal Tuesday morning turned catastrophic when two of the four attacks on the United States struck Manhattan. These attacks, executed by the terrorist group al-Qaeda, shook our nation to its very core -- but the most remarkable thing occurred that day: our nation became even stronger. We came together in our grief and in our hope, and our fearless first responders flooded to the area to help out in any way they could. Michael was one of those brave responders. He spent months at ground zero looking for survivors, battling the uncertain reality that he might find someone he knew. After working at ground zero, Michael felt he had one choice: to defend his country when they needed him. Michael’s career took him from NYPD to Homeland Security, and after several years of training and working his way up the ranks in the Navy, he was deployed to Afghanistan from 2009 to 2011. Michael endured trauma at both ground zero and in Afghanistan -- trauma that can debilitate even the strongest and most fearless fighter. So many of our brave young men and women who have gone to war return with both visible and invisible wounds. Michael describes himself as “a damaged, injured and broken person”. However, Michael is quick to tell you that though he has struggled adjusting to reality here at home, serving in the military was the best thing he had ever done. While Michael proudly served his country, the struggle to adjust to a totally different environment -- one that requires a 9-5 job, constant social interaction, and calm behavior (a huge departure from the high alert around the clock mentality required to serve) -- has been a great challenge. 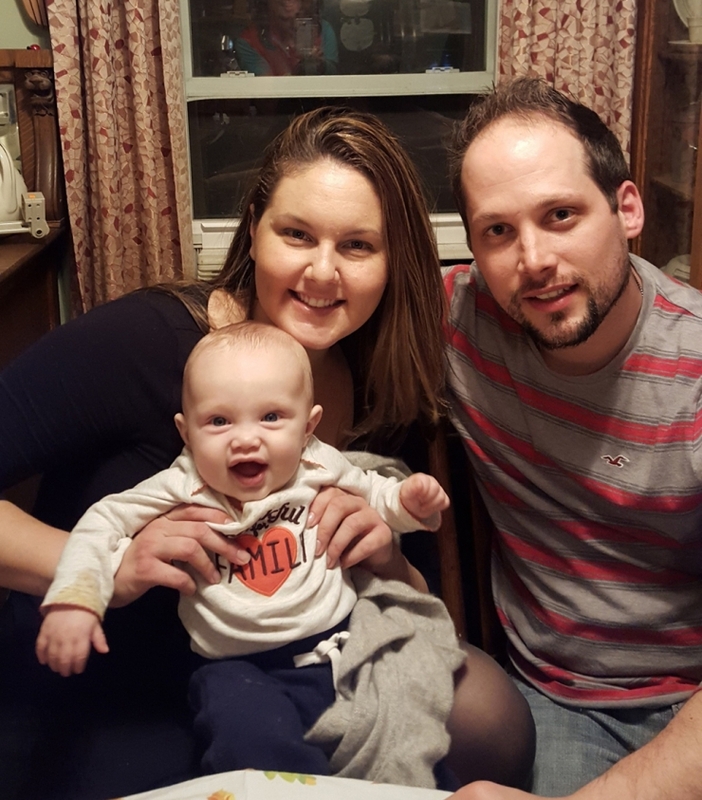 Thankfully, he has his wife and son to help him through this time, but he knew he needed something more to support his transition in order to become the husband and father they deserved. After speaking with several service dog organizations, Michael and his counselor both agreed a service dog could help alleviate some of his Post Traumatic Stress symptoms. 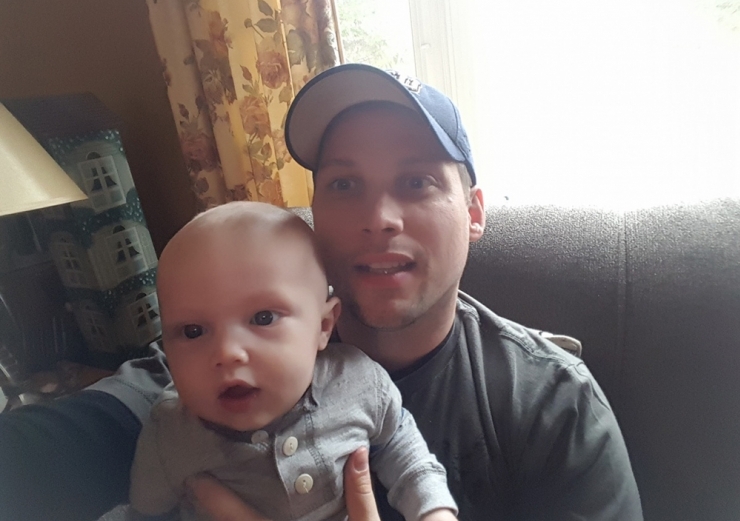 It wasn’t easy for Michael to reach out for help, but his close friend and Chiver, Sean, knew a group of people that might help ease him back into social settings: Chive Nation. In addition, Sean told him about Chive Charities and our commitment to supporting veterans and first responders. 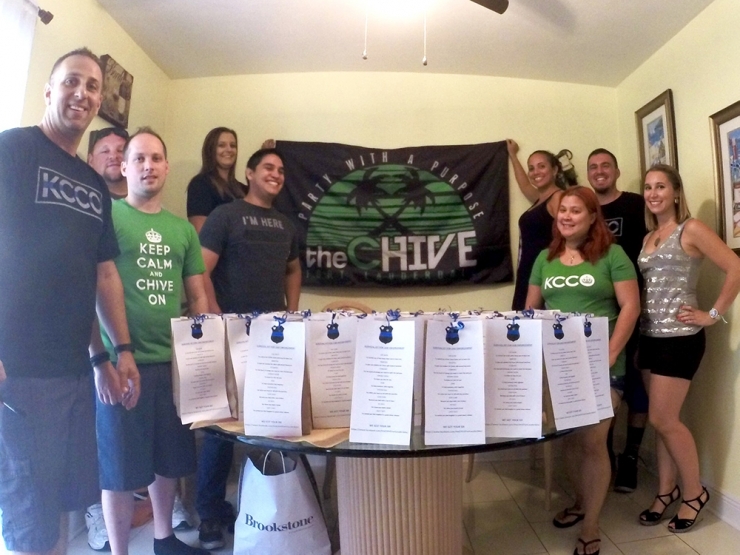 A huge thanks to Sean from Chive Nation for rallying around Michael, and for pointing him to Chive Charities! Thanks to our Green Ribbon Fund donors, we are able to grant Michael $15,000 for a PTSD Service dog. 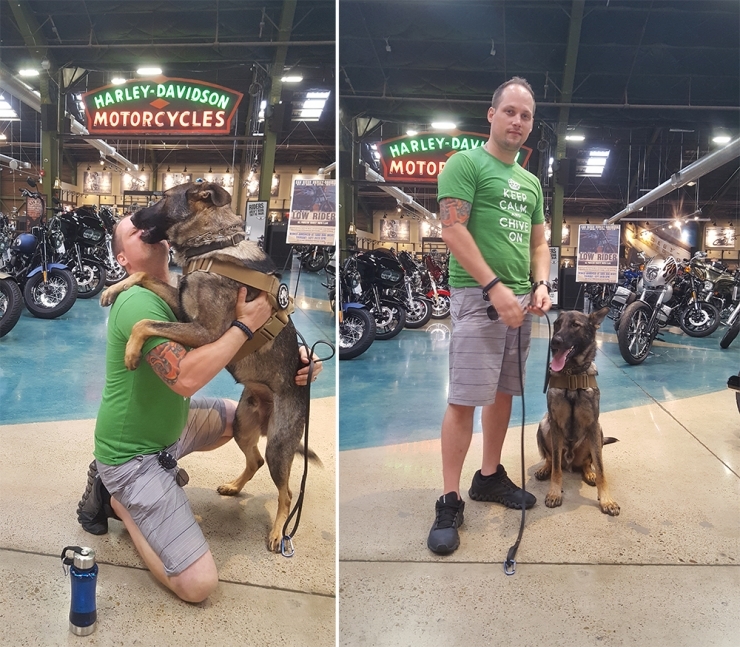 Michael has a long journey ahead of him, but we hope we’ve made it a little easier for him with not only a service dog to help guide him through the challenges, but also the support from the best bunch of misfits anyone could call friends -- Chive Nation.